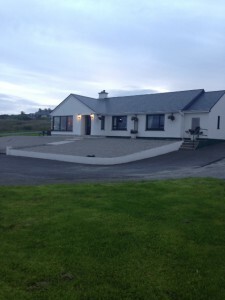 Radharc an Oileain bed and breakfast accommodation in Dungloe is set in a peaceful and scenic location on Quay Road and is set amongst lovely gardens where guests can read, relax and chill out. We are located just 5 minutes walk from Dungloe town centre. Staying at Radharc an Oileain gives you the chance to enjoy the beautiful scenery in Dungloe and is an excellent touring base for County Donegal. 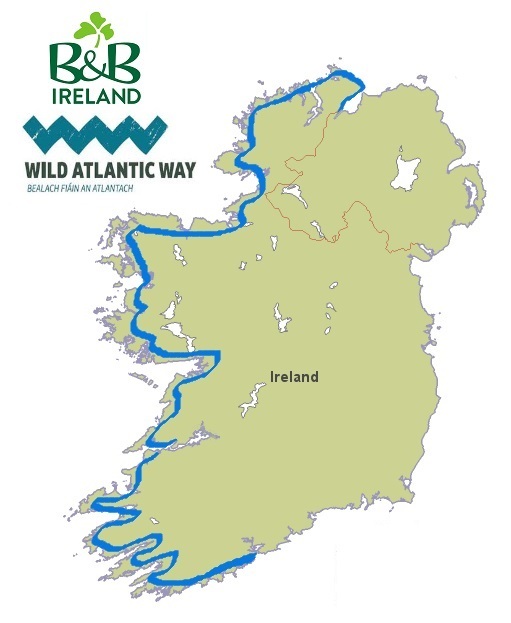 We would be happy to advise you of the best places to see and things to do in County Donegal. Breakfasts are wholesome and all tastes are catered for. At the B&B, we have ample secure private parking space and ensuring our guests have a pleasant stay in our accommodation in Dungloe, Donegal is our priority. We are members of the Town and Country Homes Association of Bed and Breakfast across Ireland. Radharc an Oileain Bed and Breakfast in Dungloe has several Ensuite guest bedrooms. At Radharc an Oileain Bed and Breakfast, the bedrooms are comfortable, modern and bright. Each room has a TV, tea/coffee making facilities, hairdryer and iron. The B&B is also equipt with Internet Access and is a no-smoking house. Directions: On reaching Dungloe Town, turn left onto the Quay Road. Radharc an Oileain is signposted at Midway Bar, travel 300 metres on left hand side of road.